This contemporary triple tier solar wall mounted light is an affordable new way to enhance your porch, patio, entryway or any vertical flat surface without the cost of running electricity. This solar light is equipped with 9 bright white LED’s providing light up to 8 hours at night when fully charged. 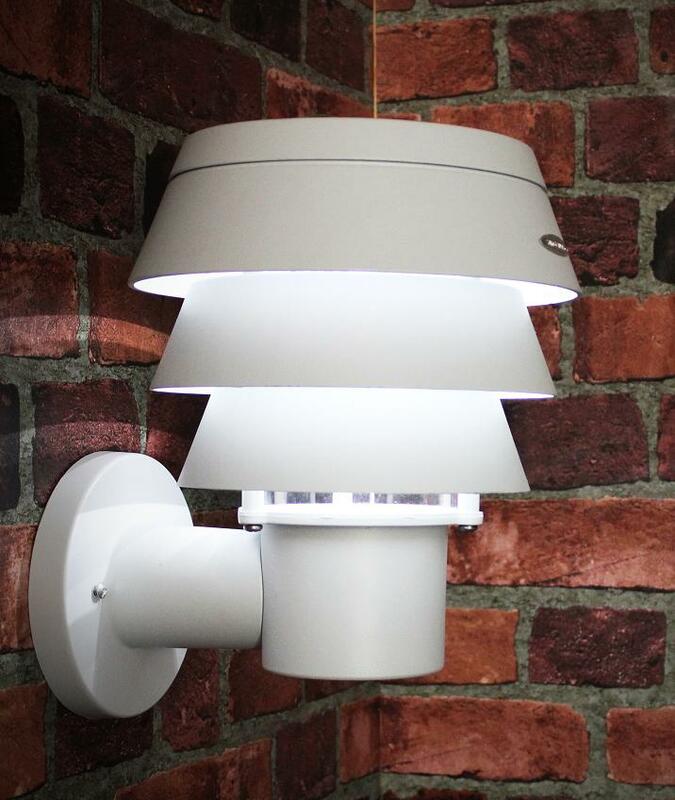 With its dusk to dawn operation this light will automatically illuminate at night and automatically turn off by morning. 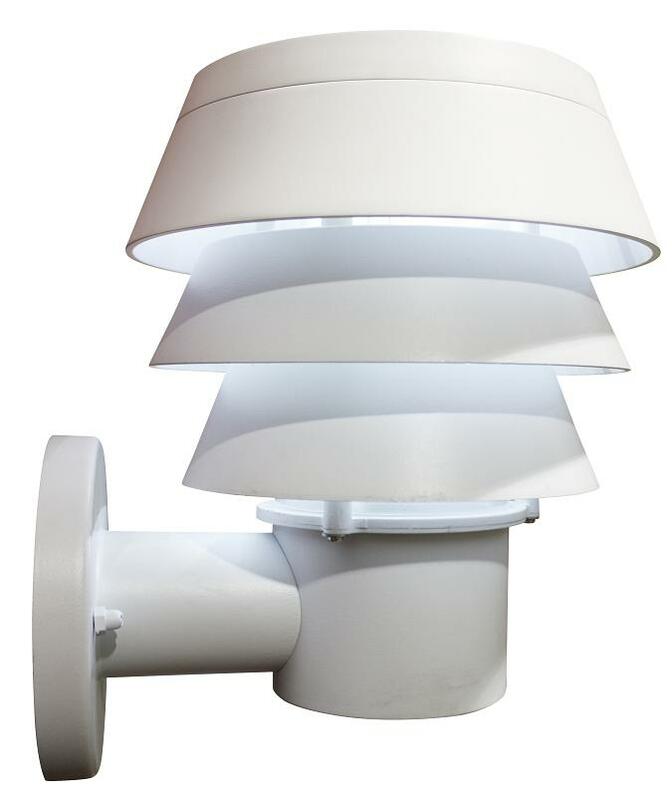 This maintenance free solar light fixture is constructed of rust resistant cast aluminum with a white finish for years of use.